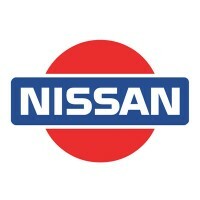 Nissan has become prominent in their business by making cars that are innovative and exciting for its customers. By producing world-class standard automobiles, luxury cars, trucks and commercial vehicles, they’re in the lead of driving the future of automotive industry. It was founded in Japan during the 1930s. Its name was first used as an abbreviation of a holding company, Nihon Industries. Its founder, Yoshisuke Aikawa, expanded automobile parts division to create the company. The multinational automobile company is found in over 191 countries, with over 160,000 employees worldwide. The company was recently awarded in evaluation index of efforts on LGBT and certification of active female participation. They prioritize the welfare of their employees and assure that everyone will be provided with their benefit programs. They offer health benefits, 401k savings plan, life insurance and disability coverage, flexible work arrangements and other benefit programs for its employees. People love working in this company because it’s well equipped with its facilities, their medical benefits and incentives are great, and the company gives every individual an opportunity for a good career development in the variety of their skill set. Some dealerships hire candidates with the minimum age of sixteen years old for the entry level-positions. However, some positions require candidates to be at least eighteen years old with a high school diploma. The company offers a wide range of opportunities and careers for each individual with different skill sets. From product development, manufacturing, engineering, and supply chain management to quality assurance and sales/parts services. Listed below are ten of the many careers that the company offers. Maintenance Technician: A maintenance technician supports the maintenance manufacturing divisions and assists within equipment breakdown activities. They troubleshoot systematic concerns and maintain countermeasures and recommendations to improve the maintenance systems and processes. They also help the supervisor in evaluating the skill level of the technicians and communicate with suppliers by ordering essential shop materials for necessary processes and resources. Paint Engineer: A paint engineer leads engineering activities for the development and productions of new and current manufactured vehicle. They provide engineering support for trial builds for new models and they are in charge in developing and confirming designs for tooling, checking gauges and process equipment for new models. Wielding Engineer: A wielding engineer supports wielding related issues in Body Assembly. They also support process engineering and production in the development of equipment for future models for specifications and adjustments to existing equipments to increase performance. If there is a launch of new products, they coordinate weld certification during its production trials. Technologist Maintenance: A technologist maintenance supports the maintenance manufacturing departments by help reducing manufacturing downtime and make better processes and for production to be more efficient. If there is a systematic issue within the plant, the technologist maintenance assists the technicians by troubleshooting the problem and mitigates potential concerns. Q/C Analyst: The Q/C analyst’s responsibility is supporting the management in quality control by ensuring compliance with department procedures for account reconciliation, reports, and workflow analysis. If there are uncommon trends, control breaches or potential problems, the Q/C analyst suggests solutions or substitute procedures to the management. Brake Design Engineer: A brake design engineer manages the brake system development for foundation brakes. They spearhead activities with suppliers for cost reduction and quality improvement through a method called warranty data analysis and assess field collected parts. If there are design specifications on brakes, they develop and release the design changes. Interior / Exterior Design Engineer: An interior/exterior design engineer studies the design and quality for customer satisfaction by improving the quality of vehicles. They are also responsible for preventing defect out-flow to reduce warranty through design change and collaborates with Plant, Field Quality, Customer Satisfaction and R&D to quickly identify the root cause and countermeasure the quality issues. Q/C Analyst – Wholesale Processing: A Q/C analyst – wholesale processing reviews and verifies each of the wholesale reject reports and reconciles the balances of all commercial loan rejects. Through evaluation or productivity versus performance standards, they monitoring and reports the quality and efficiency of the departments. Design Change Coordinator: The design change coordinator reviews the reports submitted by the design department. They manage problems with minimum supervision and evaluate program targets and solutions for potential problems that have major effect on vehicle development. They also negotiate with Suppliers, Purchasing, Vendor Tooling and Quality & Design. Process Engineer: A process engineer in responsible for the design model changes and its effect on job distributions, adoption cost and potential equipment changes. They have direct communications with the Design Partners and Manufacturing and Quality groups. They are also in charge for conducting activities that are related to cost reduction, part design changes and potential process changes. The recruitment process requires a couple of steps. First is submitting your application with your resume and filling in the application form, then comes the interview process. One of the first steps of the application process is easy; you can either submit your application through an online application or in store application. Make sure that in filling the application form or online application, you must provide the correct information and possess the exact requirements that are needed. Also, keep your resume neat, simple and with no grammatical errors. Include your accomplishments and furnish your resume for the kind of industry that you are applying for. Lastly, prepare yourself for the interview process by studying the kind of industry the company is involved in order to be prepared for possible questions. Arrive early and dress appropriately. The company’s culture is open to diversity and welcomes different views. Their passion is driven by different people who share the same vision and mission bring about market innovation and value for its customers. They are already eyeing a vehicle plant located in Kenya. This helps the government’s plan to develop a regional automobile-manufacturing in Africa. They have already been looking at South African countries that may be part of their concept of globalization. While they are known for making cars that are reliable for longevity and the use of their advanced technology, they remain to be an affordable brand. They are also well equipped with innovative features like the advanced automated parking system. The safety of people and the environment is the controlling factor in designing and manufacturing their cars, that’s why they make sure that they produce environmental friendly automobiles. They are also investing in zero emission vehicles, like fuel cell vehicles. 1 How old do you have to be to work at Nissan?